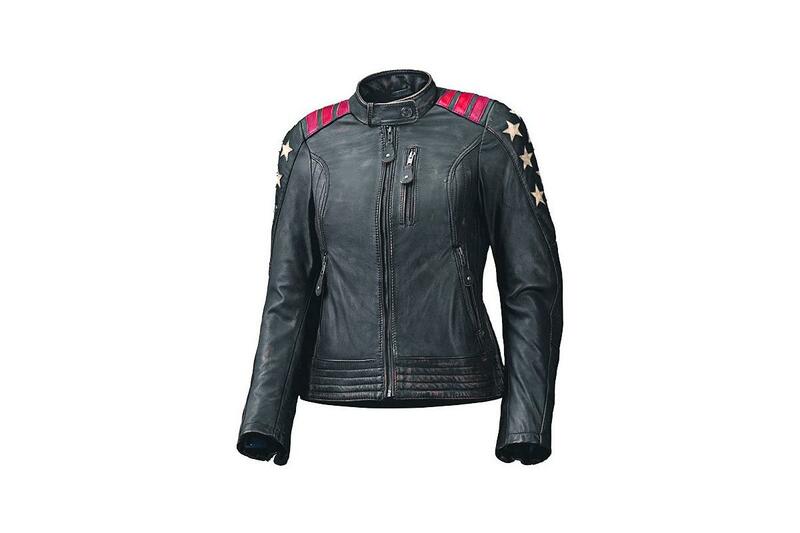 Awesome style meets beautiful Held build quality in this lovely ladies’ jacket. Made from soft cowhide with CE-approved SAS-Tec armour at the shoulders and elbows, it’s almost too nice to wear on a bike… almost! There's a connecting zip around the bottom of the jacket so it can be attached to Held jeans and Held's clip-in technology allows fitment of several Held liners. Unfortunately the Laxy doesn’t come with with a back protector, but there is a pocket should you wish to wear one as well as velcro to attach a chest protector. The Held Ladies Laxy jacket costs £344.99, available in sizes 34-46D.